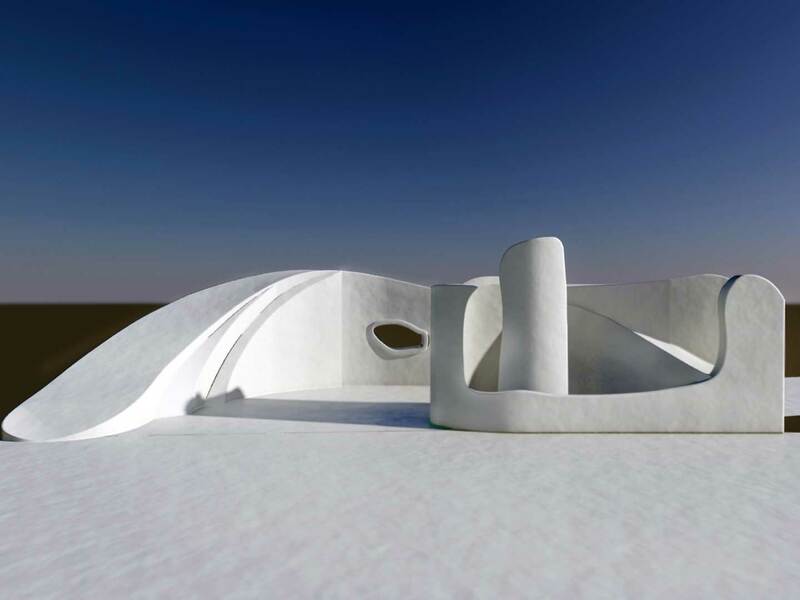 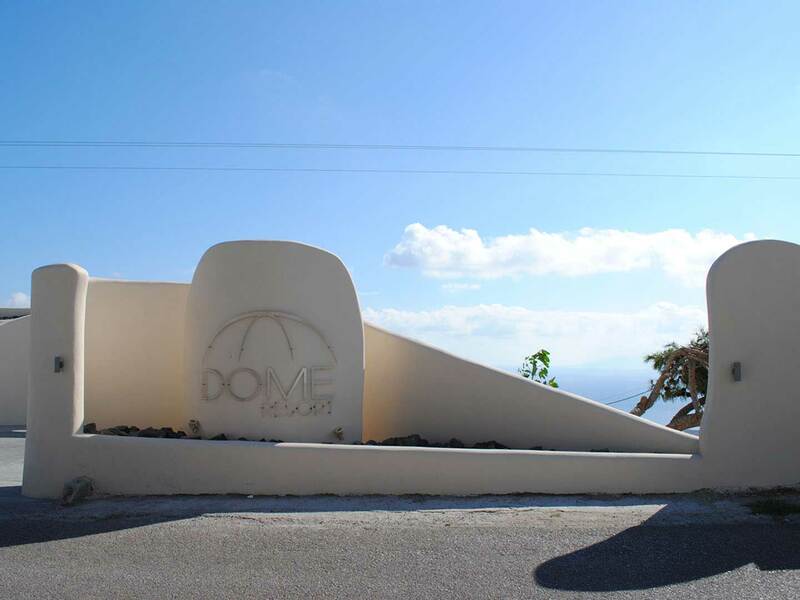 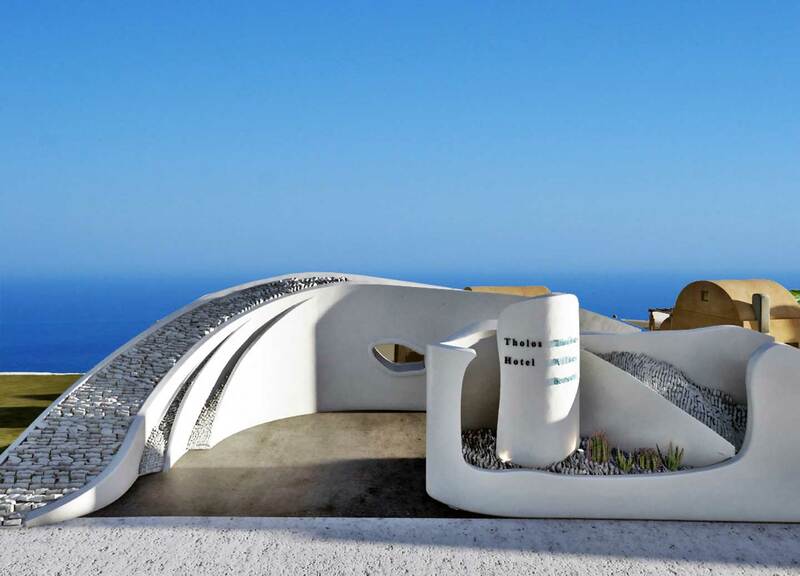 The design of the hotel entrance combines modern form with the simplicity of the Cycladic landscape. 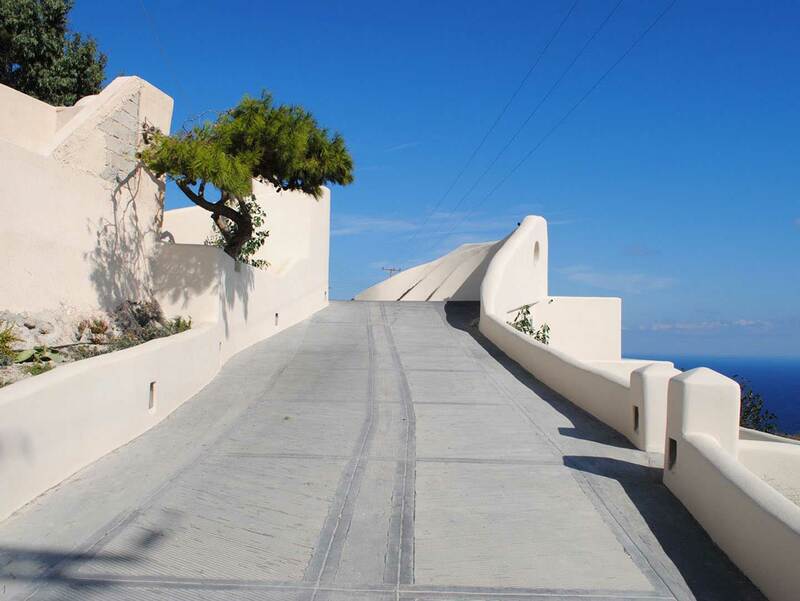 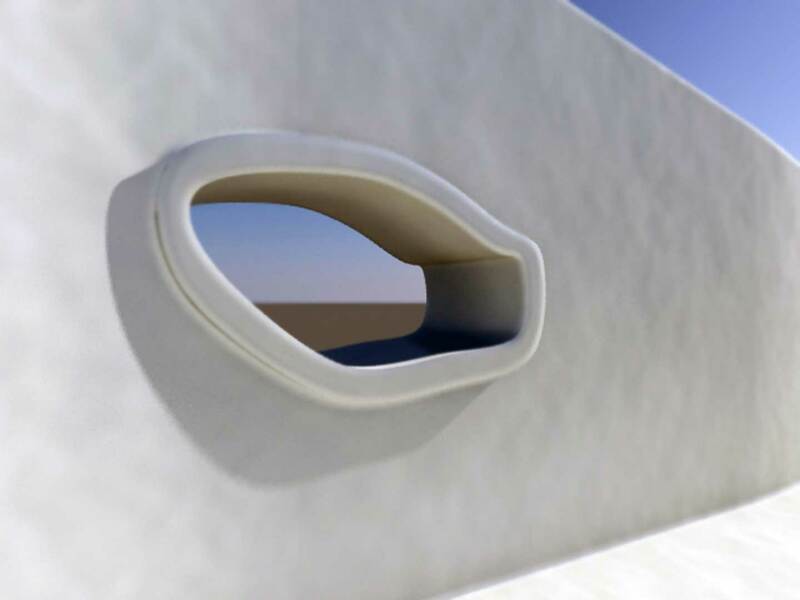 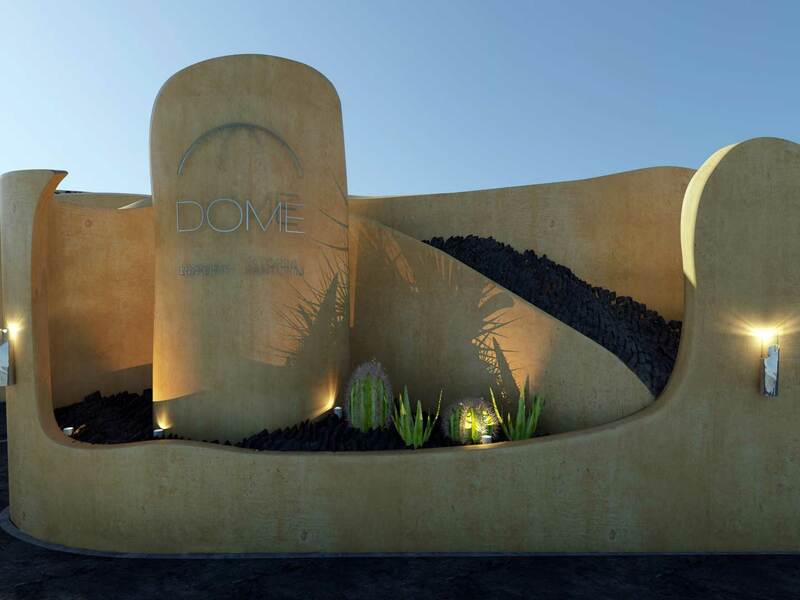 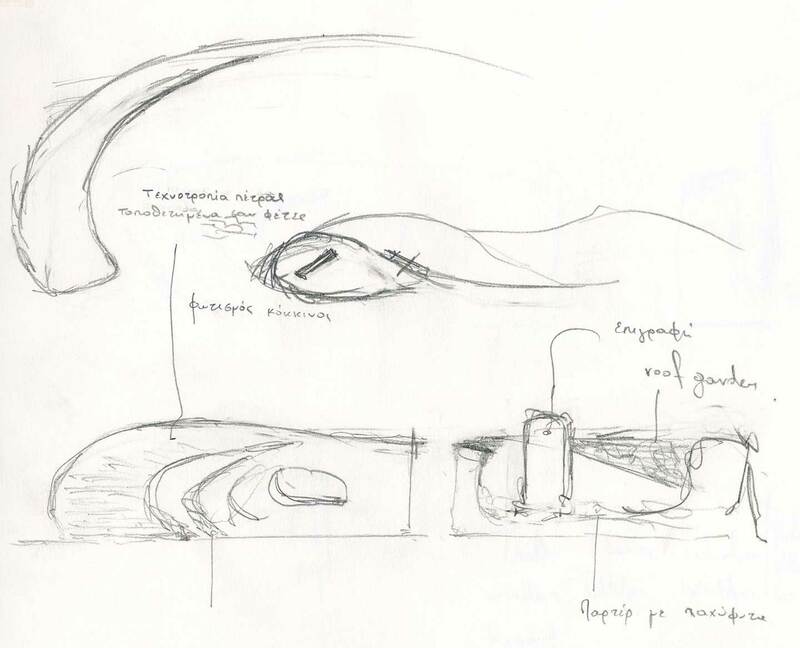 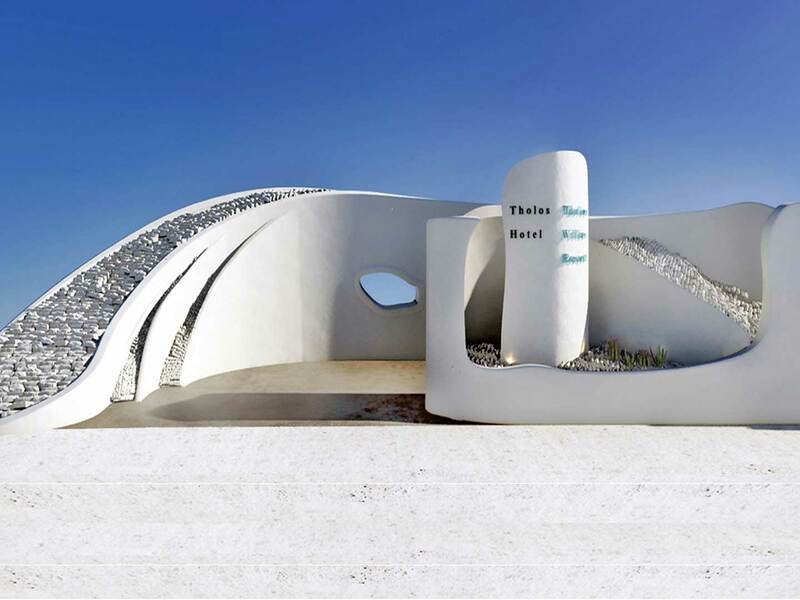 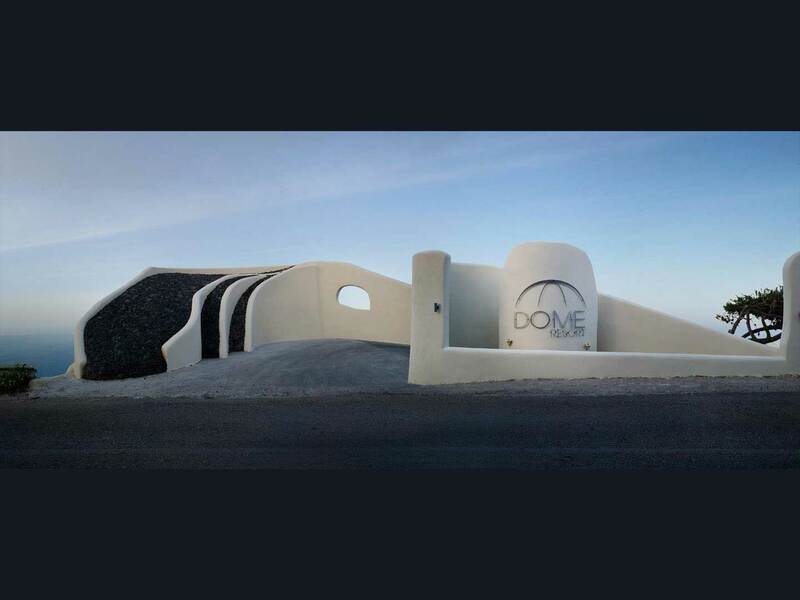 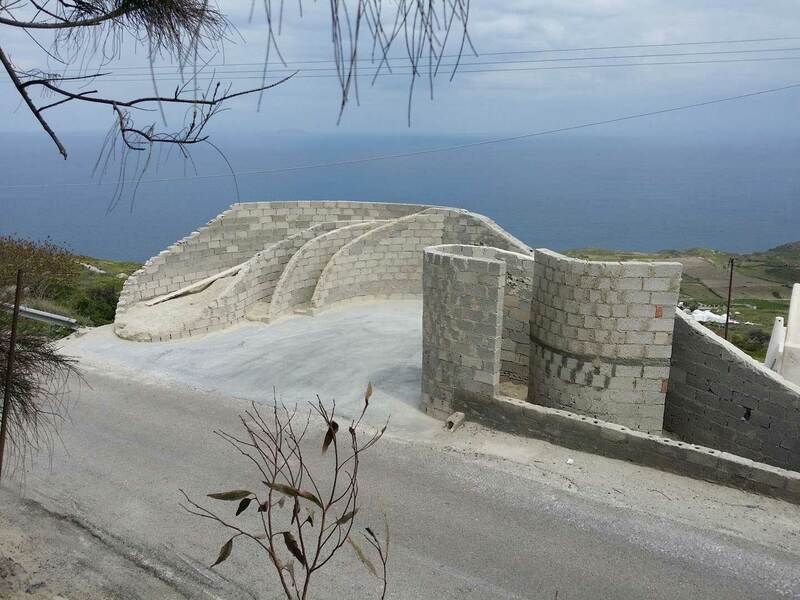 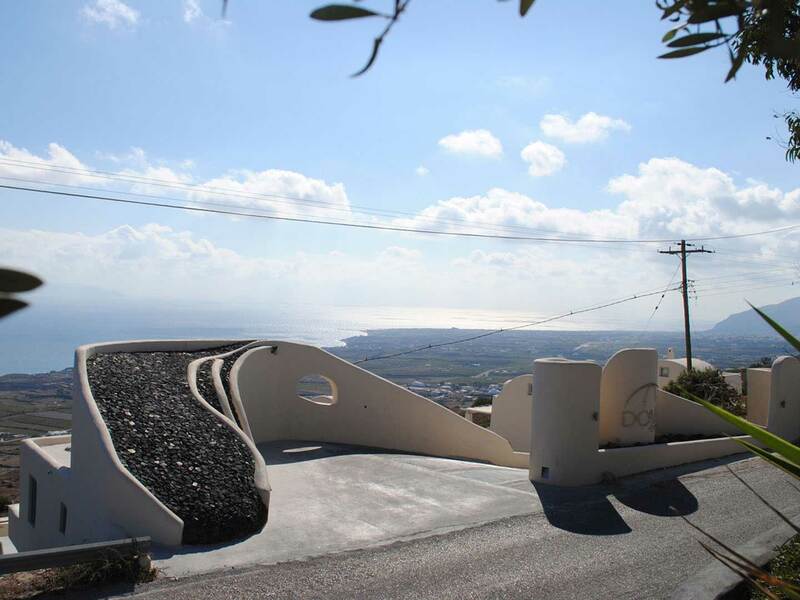 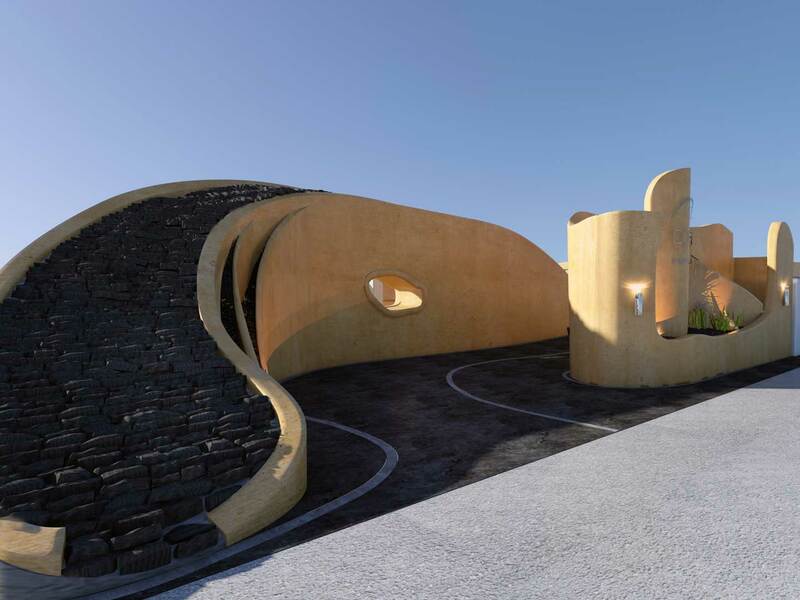 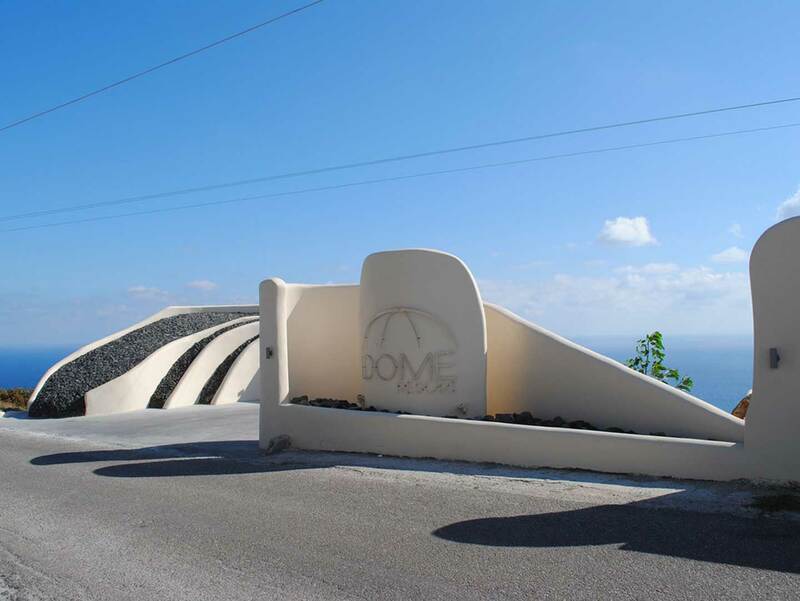 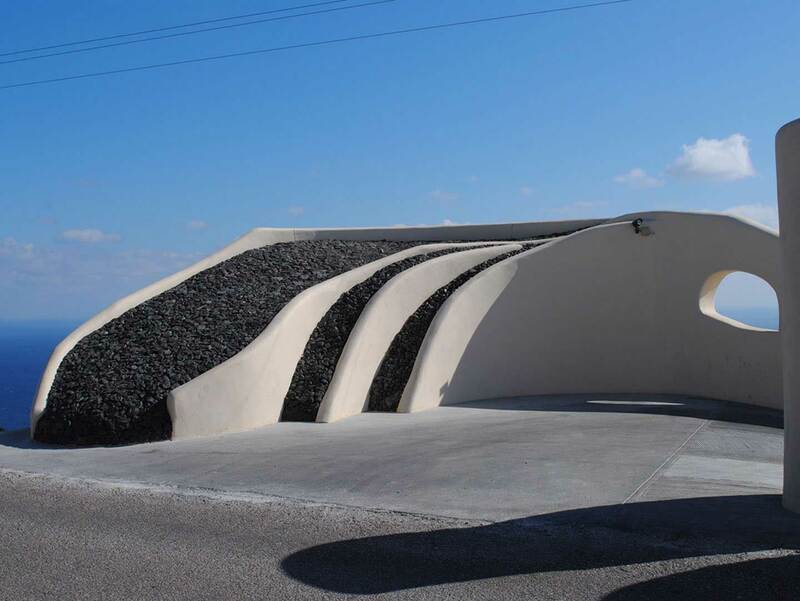 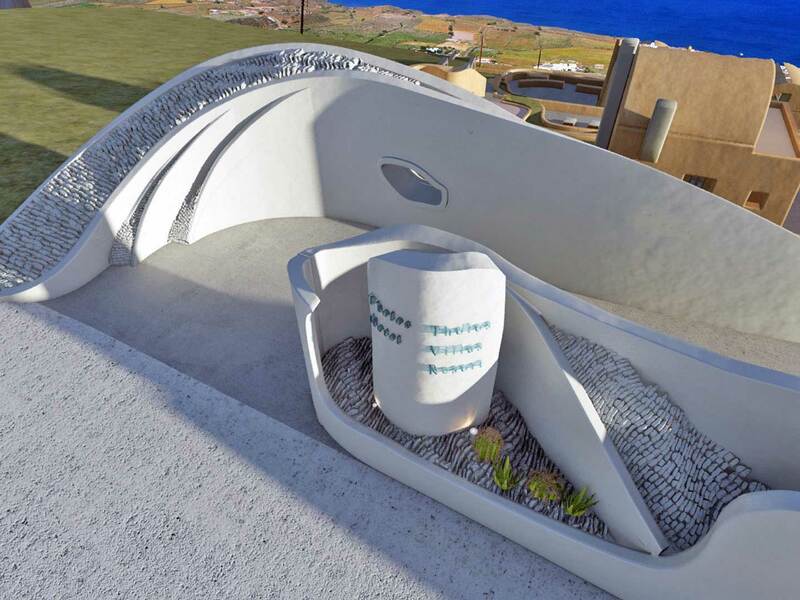 The abstract, flowing half-form is a representation of the Santorini´s half-moon volcano. 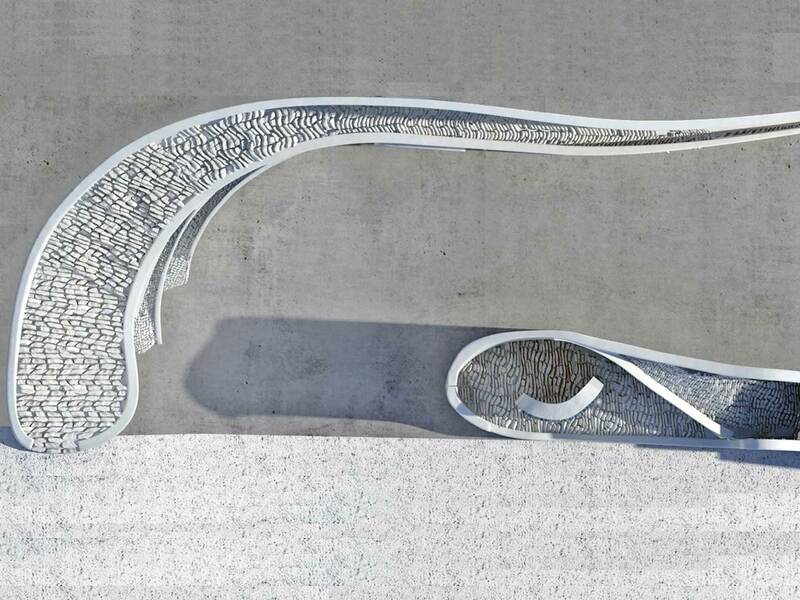 The light is meant to flood this synthesis, reproducing the forms in this play of shadow. 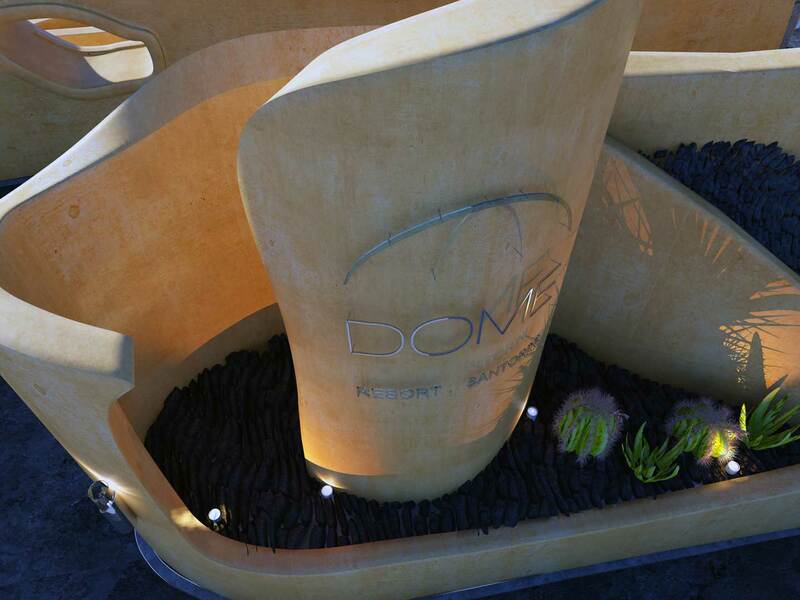 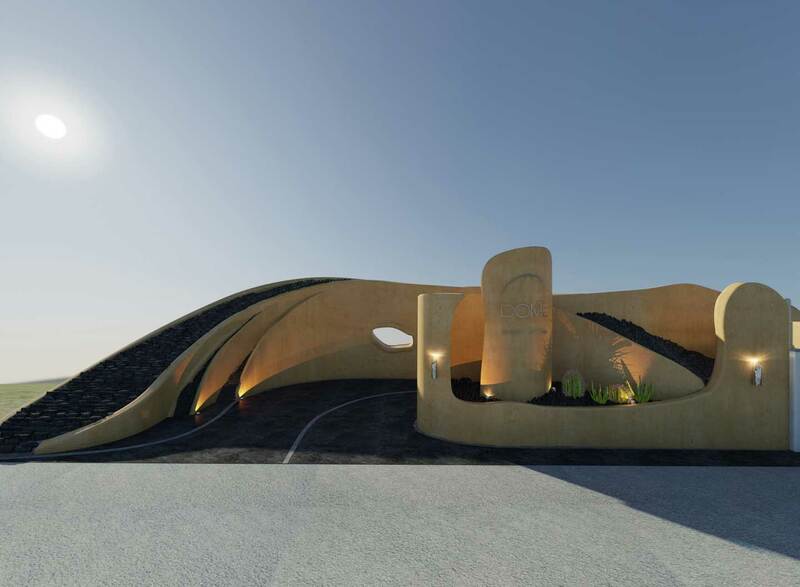 The entrance was designed to act as an elegant landmark discretely capturing attention.